Our final social gathering for 2018 took place on Thursday 20th December for what has become the SMC’s traditional pre- Christmas get together. There was an excellent turn out of members and their partners, and a fair showing of Christmas jumpers too! 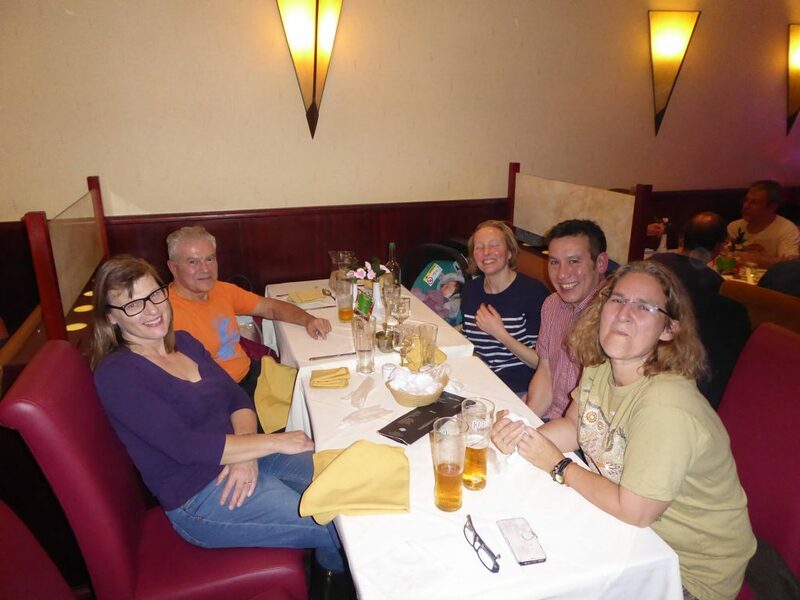 This year we went to a new venue of Indian restaurant Shabar’s in Sheldon and it was an excellent choice. Thanks, as always, to Margaret for organising this. Special mention must be made to little Gwen, who has become quite a regular at SMC events, and, as always, charmed us all. 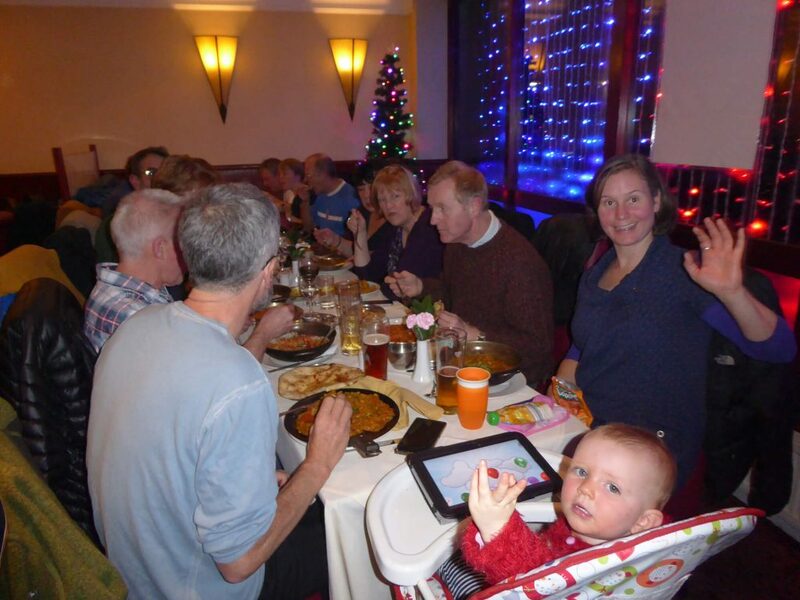 Plus we were delighted to welcome Baby Matteus, who came along with his Mum and Dad, Hattie and Andrew. He managed to sleep through the whole of the evening so at least Andrew and Hattie could enjoy their meals without interruption. Though it is hoped this did not mean he was awake for the rest of the night when back at home! It is fair to say, all had a good night and it was a fitting end to 2018. We have indeed enjoyed a fabulous range of meets and social gatherings, in what has been our Diamond Jubilee year.